Celebrating its 20th year the North Shore Writers Festival comes to Lynn Valley April 5th and 6th. The annual North Shore Writers Festival has both writers and libraries uniting for two days this April. Together North Vancouver District, North Vancouver City and West Vancouver Memorial Public Libraries are presenting the 20th anniversary edition of the festival. All the events are FREE thanks to the generous support of the Friends of the North Shore Libraries and there is even three hours FREE parking at Lynn Valley Village. This year favourite events return like the 7th Annual Literary Trivia Quiz hosted by CBC’s Grant Lawrence on Friday night. From panel discussions to practical workshops Saturday is packed with something for all writers and readers. 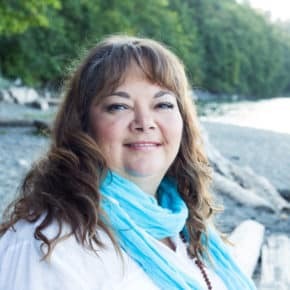 Award-winning Cree, Lakota and Scottish author Monique Gray Smith will share her personal journey as a celebrated YA and children’s storyteller. Monique will read from her latest release, Tilly and the Crazy Eights, an epic road trip with Indigenous Elders from Vancouver to Albuquerque for a Pow Wow. Join Cree author Darrel McLeod in conversation with Program Director for Community Knowledge Exchange, Alexander Dirksen. 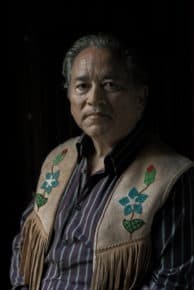 Darrel discusses the powerful themes of love, family, resilience and identity within his 2018 Governor General award-winning memoir Mamaskatch: A Cree Coming of Age, as well as the impact his book has had on its readers to date. With the busyness and frantic obligations of Christmas and the holidays, we are featuring some of Lynn Valley’s best options for holiday solutions. From finding that perfect something for that hard to buy relative to finding something small and sweet for someone small and sweet: we want you thinking red for the holidays. The Red Tulip Gift Gallery – is closing. 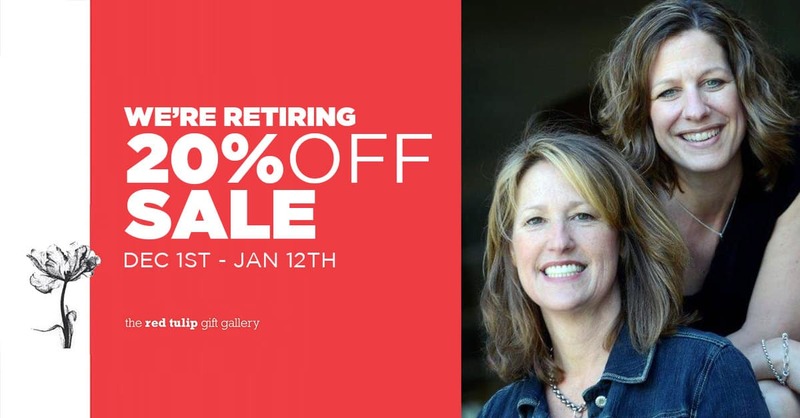 After a fourteen year journey that has taken owners Janice Rothenbush and Lynda Buchholtz from Deep Cove to Lynn Valley Village to Lynn Valley Centre, they are retiring from the retail business this January. During this last holiday season Buchholtz and Rothenbush have selected some beautiful pieces to fill your home, tree or gift box. Everything in store is now 20% off as they kick off the holidays with a bang. 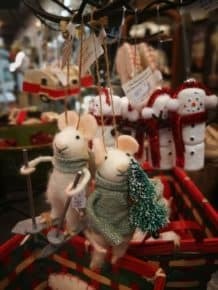 Topping the list are tiny felted mice Christmas ornaments. The warmth and whimsy they add to a tree is proving very popular this season, said Buchholtz. 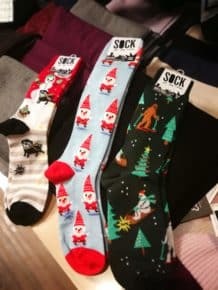 For the bold and creative there are a wide range of Sock it to me Socks – with cheeky designs and bright colours they are the perfect choice to make someone smile. 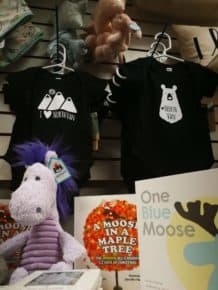 For the smallest Lynn Valley residents, they have books from local author Tory Townsin, beautiful and delicately soft Jelly Cat stuffies, as well as some locally-made onesies to assert hometown pride early. 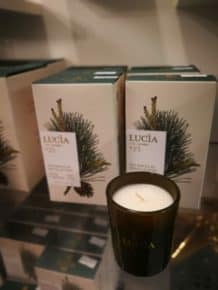 The perfect hostess gift are Lucia luxury candles and scents. The Red Tulip is currently carrying the scent Les Saisons with aromatic notes of softwood and pine – no one will know you don’t have a real Christmas tree with this authentic scent. With simple, elegant designs Rothenbush’s handmade-jewelry line Red Chandelier is sure to add a touch of shine that will delight anyone on your list. The Red Tulip is located inside Lynn Valley Centre at 1199 Lynn Valley Road. 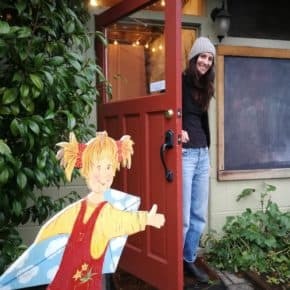 Tucked away on the campus of the Vancouver Waldorf School, 2725 St. Christophers Road, is a Red Door. Inside you will find a non-profit, parent-run shop dedicated to the wonders of childhood. 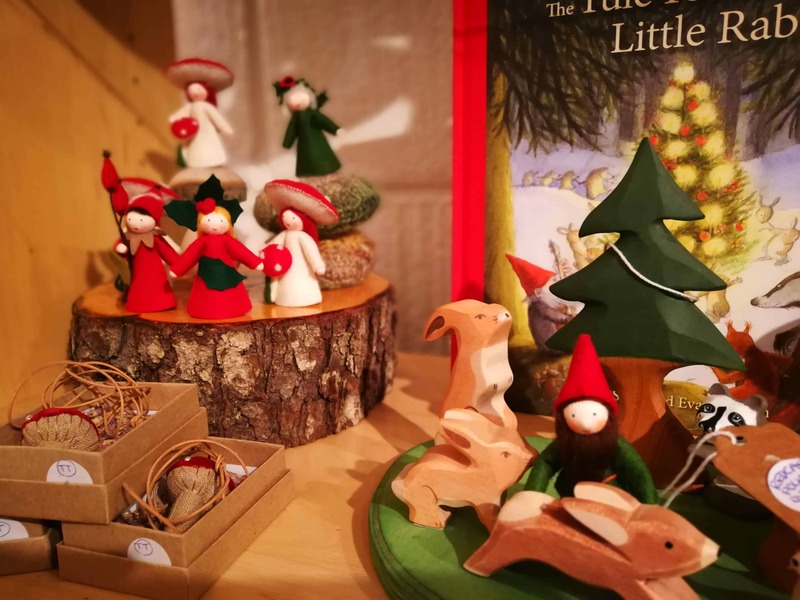 The little shop is elegantly packed with items just calling for a child’s touch. The wooden figures have soft rounded corners and simple paint jobs. The felted dolls have delicate features but simplistic beauty. There are the occasional quality handmade item contributed by Waldorf family, hard to find children’s books, rocks and crystals, even parenting books and sought-after wet weather gear by Abeko. 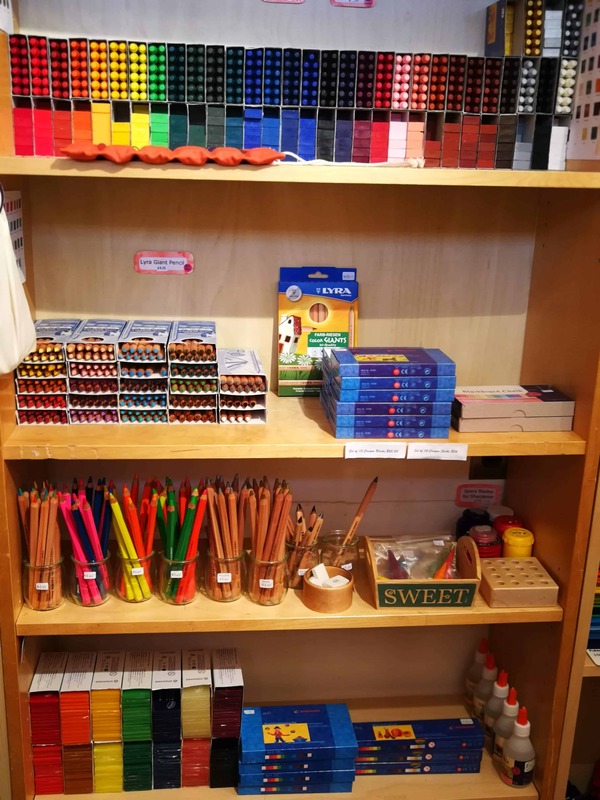 Most of the items and supplies in store are hard to find in Vancouver and have artists and art teachers making the pilgrimage to Lynn Valley to pick up molding wax and drawing materials from Stockmar and Lyra. 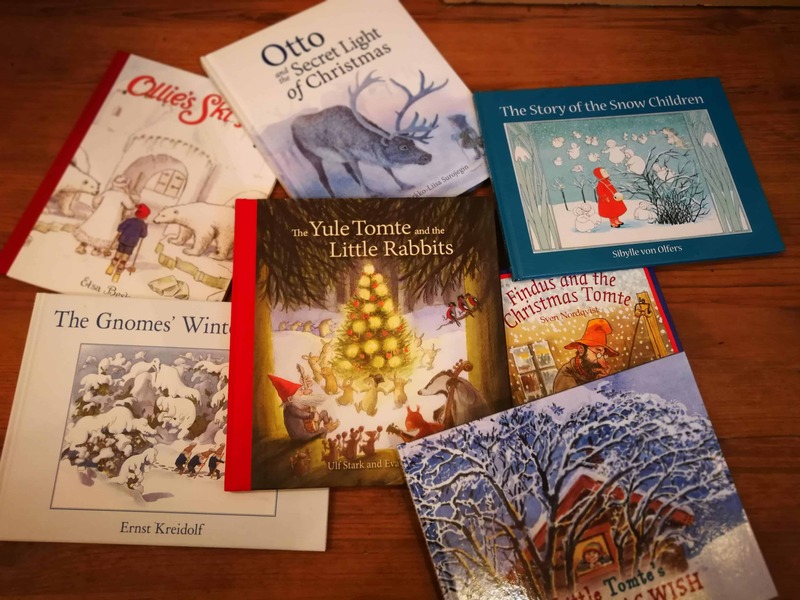 Delightful, hard to find books will immerse children in nature and the wonder of the season. 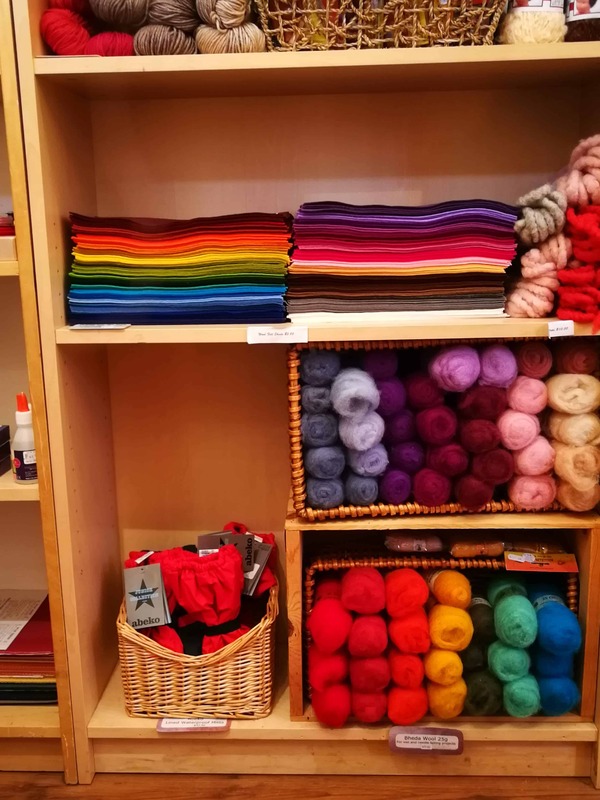 Quality wool felts and felting supplies are a treat for the eye and hands. They are wonderful to work with. Abeko products are sought after in Lynn Valley – they’re essential for outdoor kids. The details in the tiny dolls and wooden figures are beautiful and thoughtfully created. The designs encourage imaginative hands on place. The carefully curated art supplies are both ethically and environmentally responsible. They are long wearing and natural – perfect for small children. The twice-weekly concert series is returning to Lynn Valley Village again this summer. Wednesday and Friday nights local artists will hit the stage for free evenings of entertainment. Mark you calendars for the special family days and dance workshops all put on by North Van Recreation. Wednesday July 4, 6-8 p.m. – Active Antics. Enjoy a musical comedy show with the Myrtle Sisters and try games and circus arts with teh Red Fox Healthy Living Society. 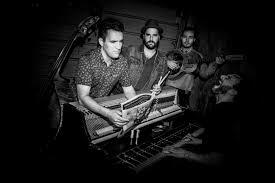 Wednesday July 11, 6-8 p.m. – Little Mountain Brass Band. Bring the whole family for an evening of British-style brass tunes and upcycling crafts with Thrifty by Design. 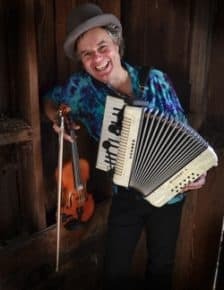 Wednesday July 18, 6-8 p.m. – Sean Ashby Live! Guitarist, singer, songwriter Sean Ashby joins us for an intimate summer evening performance. Wednesday July 25, 6-8 p.m. – Let’s Dance! Interactive dance workshops featuring Chinese ribbon, Middle Eastern and Hip Hop dance styles. Wednesday August 1, 6-8 p.m. – Family Fun Night. 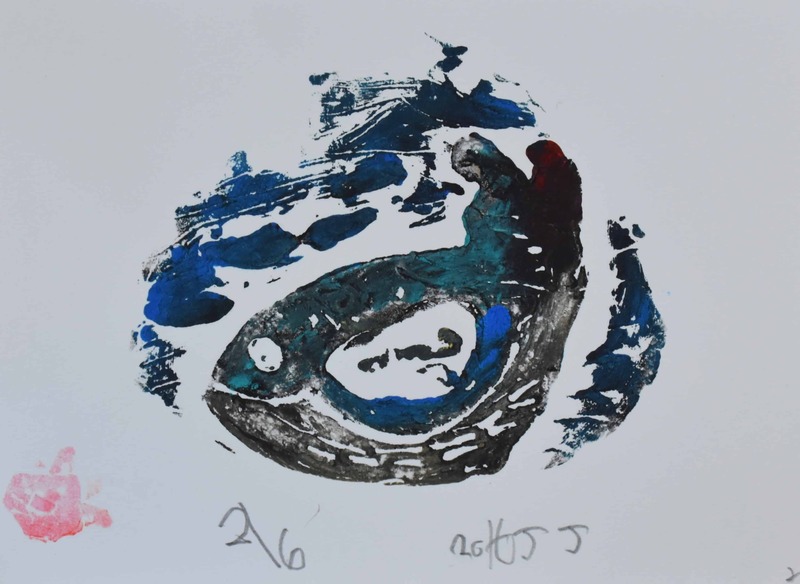 A shared evening of artistic and creative workshops for families to enjoy together. Wednesday August 8, 6-8 p.m. – Village Beat. Feel the rhythm of percussion and test out a variety of instruments with the Fairfield Music zoo. Wednesday August 15, 6-8 p.m. – SHINE Young Artist Music Showcase. Come out and enjoy some of the North Shore’s up-and-coming talent from Creativ Music Centre, backed by a live band. Wednesday August 22, 6-8 p.m. – Colours of Bollywood. Join Bollywood star, Karima Essa, for a vibrant performance and dance workshop. Enjoy henna art and a community weaving project. For decades parents have been supporting their children’s dreams and keeping Lynn Valley’s hills alive with the sound of music. 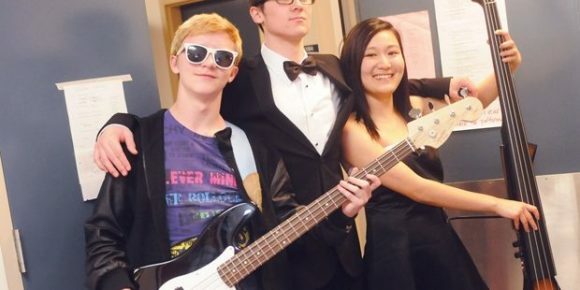 The 36th Annual Argyle Music Association fundraiser Cabaret is taking place this weekend. The annual evening of music, silent auction and dining will take place at May 12 at 6 p.m. at Mulgrave Theatre in West Vancouver. This year’s event – titled Jazz to Jukebox will showcase the talents of students as they perform their skills in an industry-level performance. As a fundraiser, it is one of a handful held throughout the year that supports students, the curriculum and trips the students take. For those who have not been through Argyle, they might not be familiar with the school’s extremely well-regarded music program. Parents with a child in music automatically become a part of the Argyle Music Association and their dedication is essential to the program. “We are there to support the music – these teachers put so much energy and time into creating this quality program. They need to be able to focus on teaching,” said Balzar. The investment in students is paying off in so many ways, she said. From outstanding opportunities to tour in Europe to creating foundational music and technical abilities that have students stepping out of high school and into industry jobs while pursuing post-secondary education, and ultimately full-time employment. For her son and daughter, it has not only meant a passion for music but technical skills to support the performances as well. For some the music program is an opportunity to be part of something bigger – to be part of team. The work is paying off. During the school’s most recent senior trip to Europe their reputation for excellence afforded them the unique opportunity to perform Bach while at Bach’s tomb – something that could only happen because of their skill, said Balzar. There are plenty of opportunities for the community to support this program. In addition to attending Cabaret or donating auction items, the teachers have wishlists, she said. “With a new school being built, we need to remember it is just the shell of a school and to run an excellent program there needs to be equipment,” said Balzar. “This is not in the capital budget; this is not in the operating budget. To create a lasting legacy of support contact the Argyle Music Association for current needs at fundraising@argylemusic.ca. The group has come up with some fantastic passive fundraising options as well that support students throughout the year. If you shop at SPUD you can purchase your produce and support students – details here or purchase SPUD gift cards and use them later – details here. Same goes for fantastic North Shore Two Rivers Meats – details here. With March Break fast approaching there is always a bit of panic: how will the kids keep busy when you are at work? 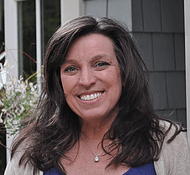 LynnValleyLife is looking at three made-in-LV solutions to engage and challenge children and provide some experiences far different than the classroom. From textiles to Picasso to Murakami, Kudzu Studio will be offering four classes this spring right here in Upper Lynn. Artist Jeri Engen has been working with children for decades from creating grassroots arts education programs in the Seattle, to launching programs with the North Shore Arts Council, to guiding students through the Vancouver Art Gallery. Even with all those plates in the air, for the last few years Engen has been offering popular classes through her home studio. 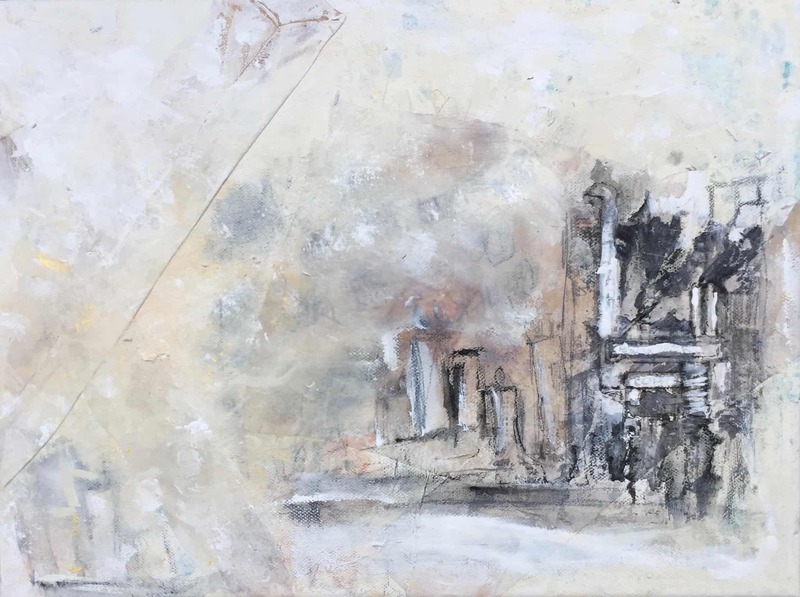 “This is something I am incredibly passionate about – not necessarily to grow fine artists but to create an excitement about and a passion for art,” said Engen. Throughout out the year Kudzu Studio offers classes to children from preschool to teens. The popular classes tend to fill up from word-of-mouth praise, but she is open to creating new classes if there are at least four students interested. To get a taste of what Kudzu is like, Engen is offering four classes this Spring Break as well as week-long camps throughout the summer. “Art is a great share with kids social and historical events,” she said. “It also gives them an opportunity to make sense of their own world – often they can’t verbalize it but they sure can draw. It’s such a privilege to work with kids and share in their experience and get them excited. For elementary age children they will explore the latest exhibit at the Vancouver Art Gallery by Takashi Murakami and other art currently featured in local galleries in Art Around Town. “My biggest objective is that they have fun and create but my second objective is to get the kids excited about art and the artist – to start a relationship that will inspire them to see the original work. They can take their parents and have an experience beyond the studio here,” said Engen. 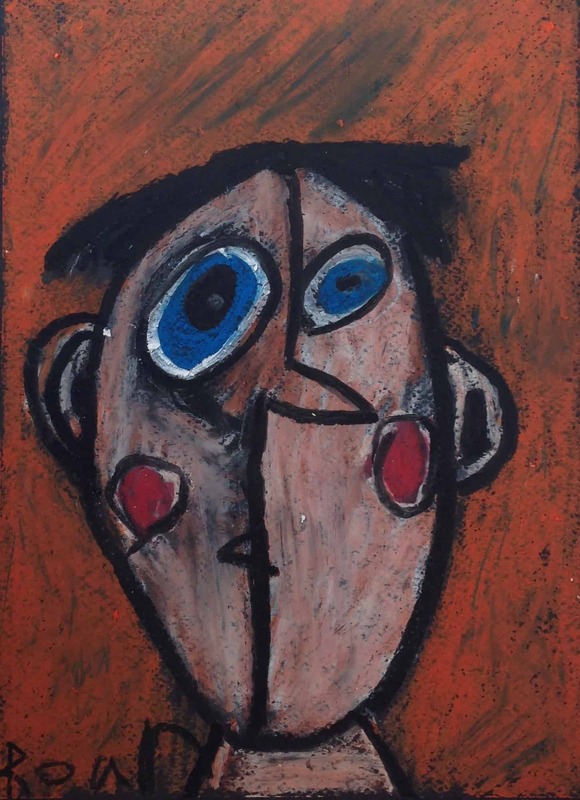 Her second elementary program will feature the works of Picasso and fostering courage and resilience. There are also two tween/teen camps featuring textiles and drawing. In textiles students will explore silk, felting, embroidery and much more. In drawing Engen will cover basic foundational skills and then introduce new techniques that students likely won’t have tried at home – but could if they resonate. 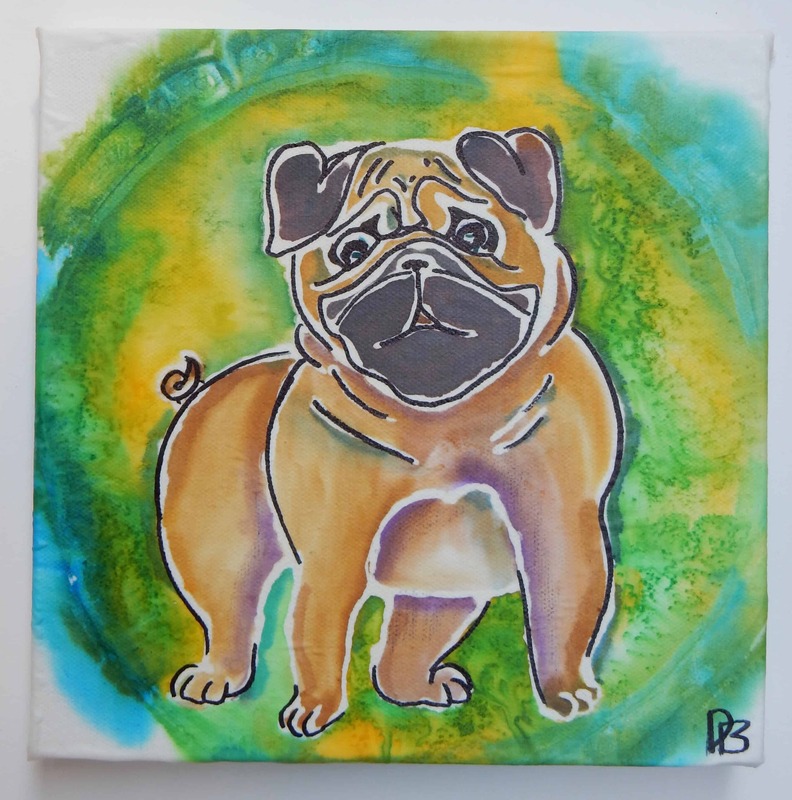 For details of classes and dates visit the Kudzu Studio website. For registration visit her here or call 604-971-1147. Are you or your organization offering spring break art activities in Lynn Valley? Feel free to let the neighbourhood know by posting directly onto our Facebook page! The growing local music scene has the Lynn Valley Legion doubling its popular Sunday Jam Sessions. Part open-mic, part jam, all good music.